Lists, messages, reminders—we constantly are searching for way to jot things down so that we do not forget. 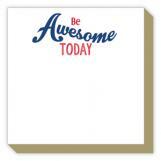 But instead of a regular, boring pad, why not treat yourself to personalized note pads? 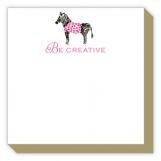 Here at Polka Dot Design, you can customize your note pad however you'd like to add a bit of your own personal style. We also carry an incredible selection of personalized office gifts, perfect for any coworker gifting occasion. Need something for your office secret Santa? 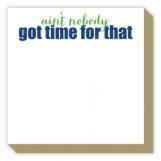 Try our weekly calendar pads, sure to be an appropriate hit. Or maybe your child is searching for the right gift for their teacher. 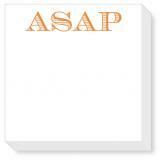 Our personalized notepads for teachers are a wildly popular choice year in and year out. 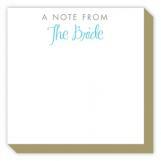 Polka Dot Design is proud to be your primary source for all personalized invitations and gifts. Many people aren't familiar with our stamp assortment. We feature personalized stamps from PSA Essentials, which are a great gift to give around the holidays. Also, our selection of kids stationery has always been a fun gift, and a way for parents and kids to design together something that showcases their child's character and style. 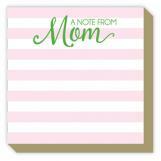 Save up to 20% or free shipping on online cute Personalized Note Pads at Polka Dot Design Design. For more information, contact us at service@polkadotdesign.com or call the Polka Dot hotline 1-877-816-0884.